Jean has been a Plant Spirit Medicine Healer since 1998 and is inducted into the Temple of Sacred Fire Healing. 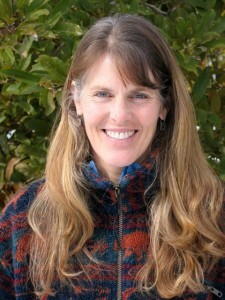 She welcomes clients to her woodland home in Leverett, Massachusetts for treatments. Jean is a lover of wild things and is especially passionate about plants. As a child, she spent hours poking around in gardens, woods and swamps with milkweed fluff in her pockets and a birch twig in her mouth. She felt great comfort with her back against White Pine and wondered why. At a young age, she was becoming aware of the plants’ unique gifts and personalities. She was making friends. Her path kept her close to nature: a degree in Environmental Education, a job with the U.S. Park Service, teaching in an Outdoor Leadership Program, becoming an herbalist, mothering two boys and organic gardening. She was led to study Plant Spirit Medicine with Eliot Cowan and found, much to her delight and with overwhelming gratitude, an even deeper understanding of the gifts that the plants have to offer. As both a recipient of the medicine and as a Plant Spirit Medicine healer, she has experienced the generosity and wisdom of the plant spirits. Nurturing things brings her great joy, and helping to guide her clients on their healing paths is a profound honor.